Early Booking 2019	valid from 01 Jan,2019 till 31 Dec,2019. 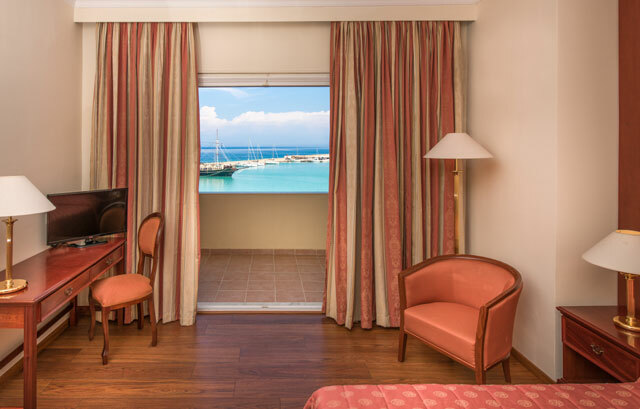 Our Superior Double Rooms can accommodate up to 3 persons, are mostly located on the top floors of Strada Marina and offer a unique combination of functional convenience, Greek living experience and affordability. 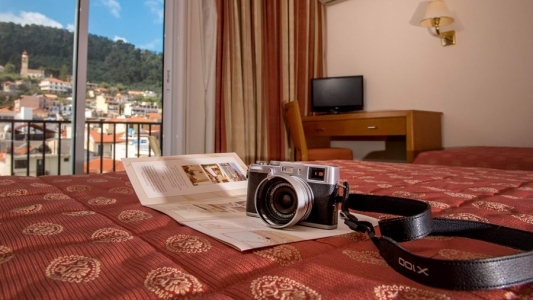 Our Superior Double Rooms offer the choice of a king-size bed or twin beds. 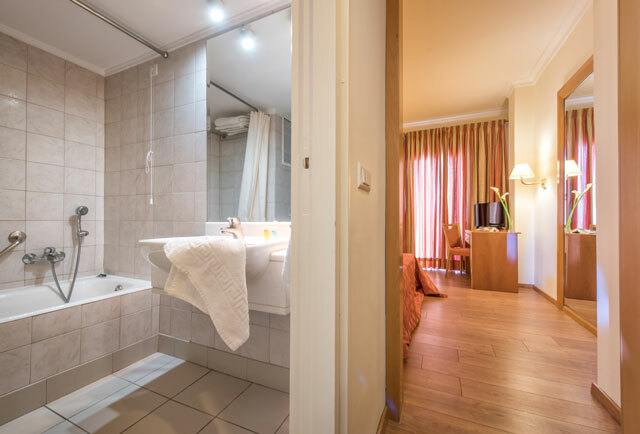 All rooms have laundry service –Wi-Fi connection-full telephone service for local and international calls- satellite TV- minibar-bathroom amenities. All rooms are cleaned daily. Room Service is available 24hours. 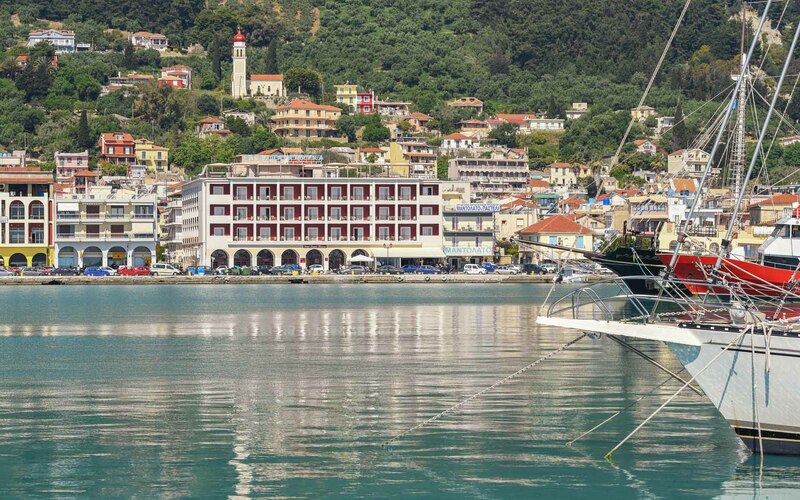 The Strada Marina Hotel, located in the picturesque town of Zakynthos , in the most preferintial location for travelers who want to discover the beauties and the cosmopolitan pulse of the city . 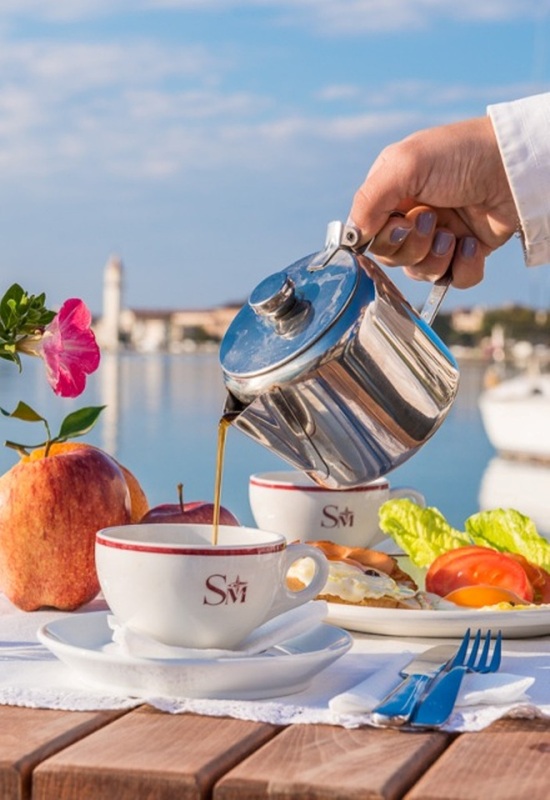 Excellent choice for visitors, characterized by the sense of privacy,the services and facilities that have been created to meet the diverse needs and desires of each guest. 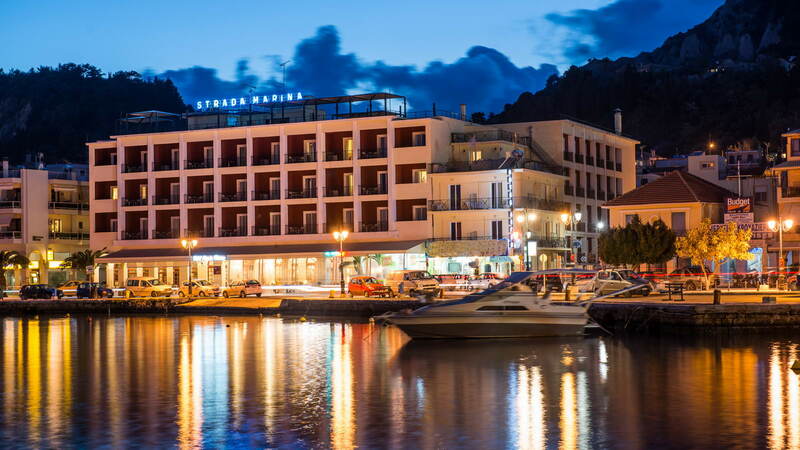 Strada Marina hotel is considered a popular destination for the undeniably magnificent view over the emerald waters of the Ionian Sea. 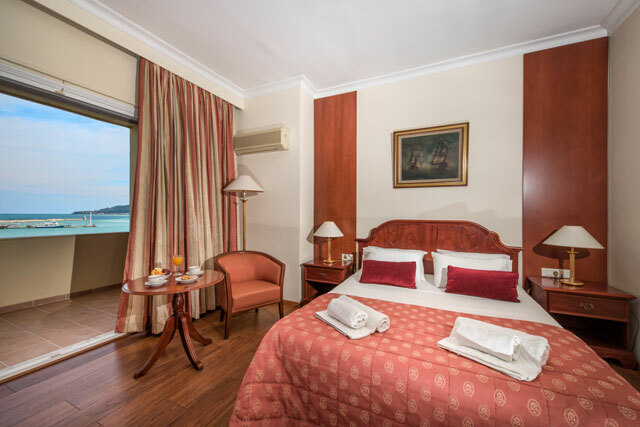 The hotel feautures 112 fully equipped and tastefully decorated rooms ranging from Classic to Deluxe suites . 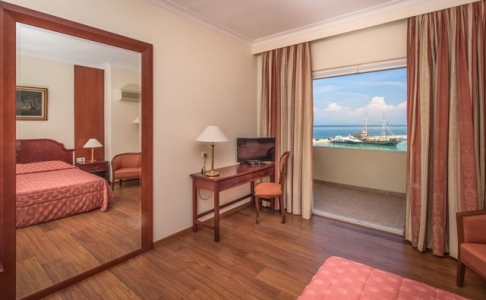 Enjoy all the services in your room , including air conditioning , satellite TV with digital channels and free Wi-Fi. 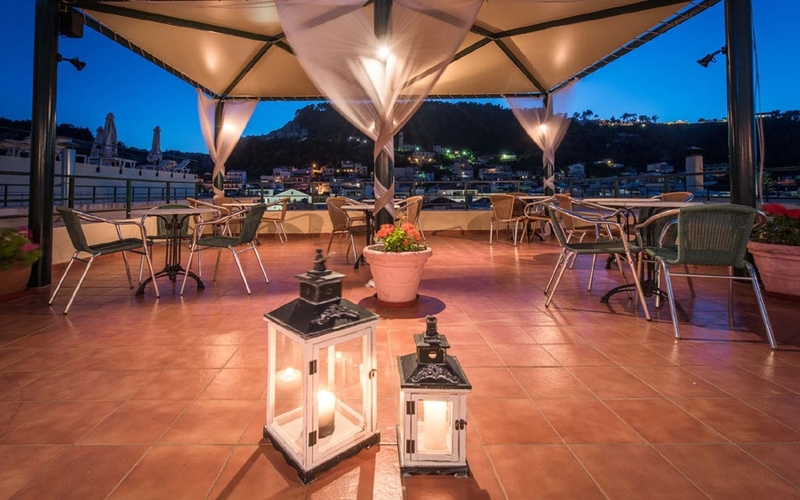 Let the mediterranean breeze from your private balcony relax you after a busy day or enjoy a refreshing cocktail at the bar in the wonderful roof garden watching the sunset! Our dedicated team will endeavor to meet all your needs and make your stay ,as memorable as should be . 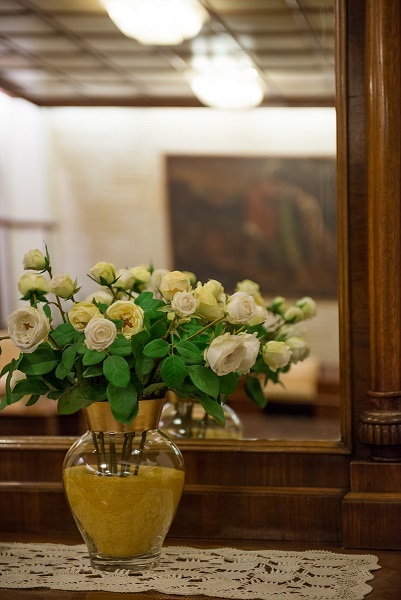 Our front desk is available around the clock , seven days a week, while our friendly and helpful staff will try to meet any requirement and make your stay unforgetable. 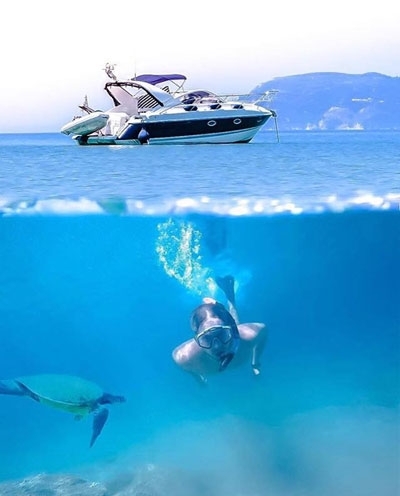 Any cancellation made within 14 days before arrival date results to 100% free of charge of the stay. Any cancellation made within 7 days before arrival date results to 100% charge of the stay. In case of no-show or departure prior to the scheduled date results in 100% charge of the stay. Above mentioned rates include all taxes, except the new accommodation city tax which is valid as of 01.01.2018 and will be automatically charged to the guests and is payable at the hotel on the spot prior to their check-out. For 4* hotels, 3.00 € per room per night. A credit card authorization is required in order to confirm a reservation. 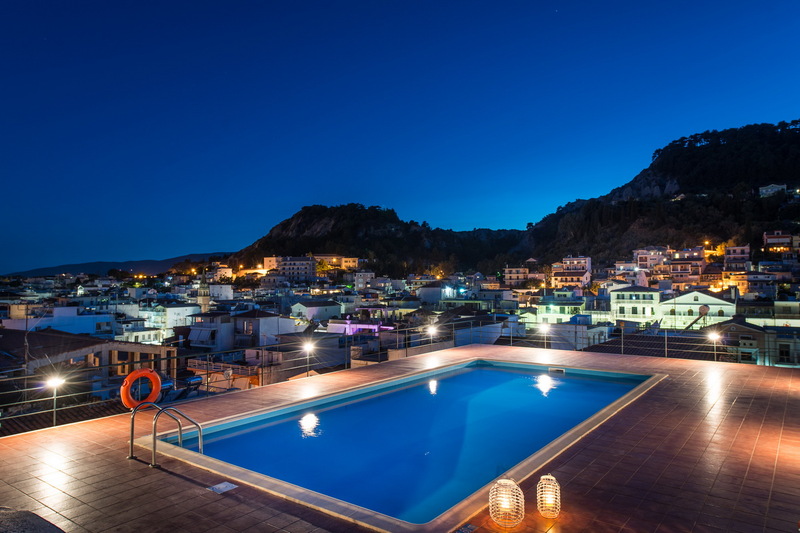 Right next to the vigorous and exciting city center of Zakynthos, in front of the seashore, is located the Strada Marina Hotel. 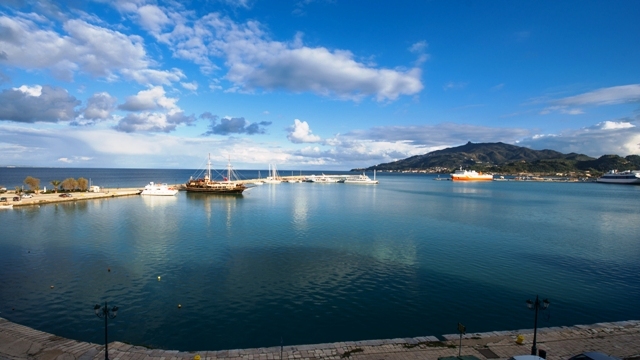 With the view to the deep blue of the Ionian Sea, in front of the island’s port, it is the ideal point to commence the exploration of the enchanting city of Zakynthos. The distance to the airport is 3 km’s and to the hospital 1 km. 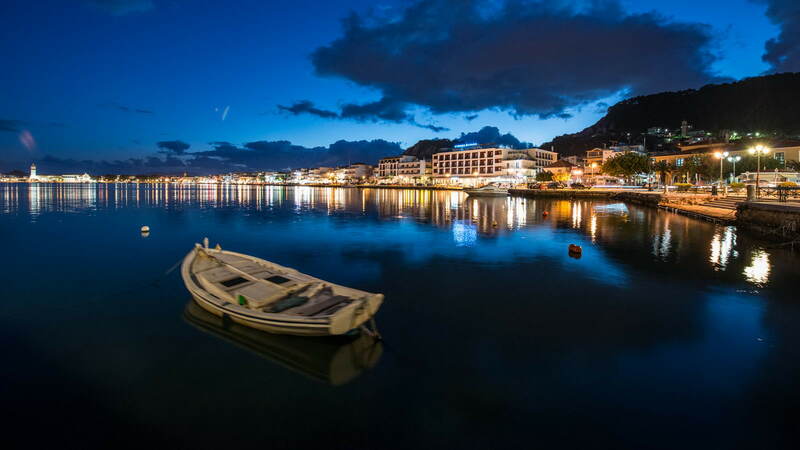 The taxi fare from the airport to Strada Marina hotel is 20.00 Euro per way for up to 4 persons. Great location, friendly staff, excellent service. Great location and loved roof bar and swimming pool with fantastic all round views. 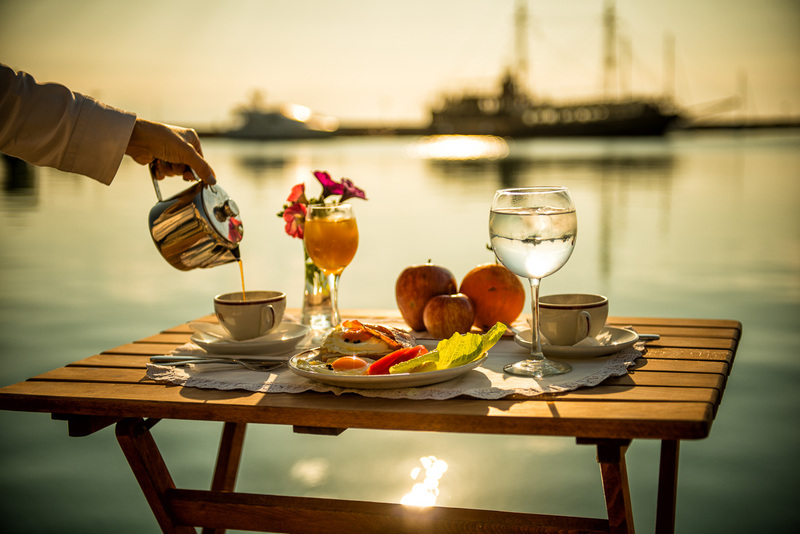 Excellent breakfast with multi choice of food and drinks. Staff friendly and helpful. Prices on food and drink on par with bars and restaurants in area. Good value. 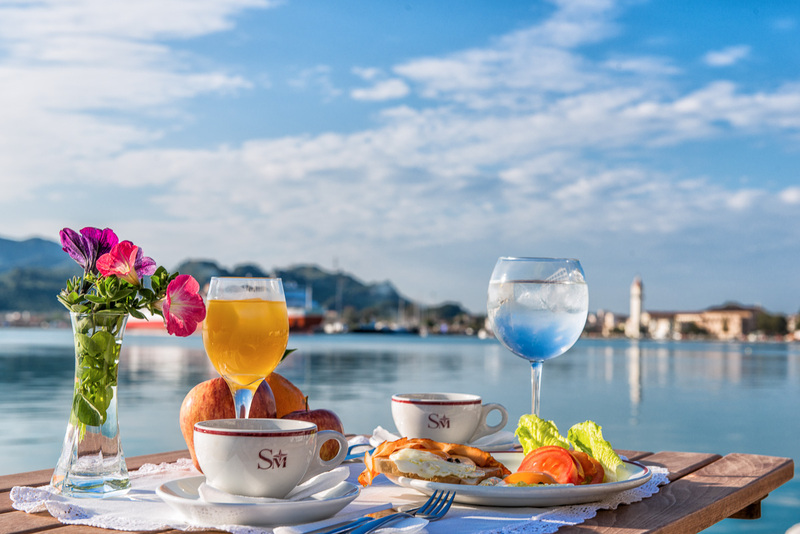 Every year we visit we always notice improvements ....it is always a joy to stay at the Strada Marina for the start of our holidays. The staff are amazing, the sea view rooms are exquisite. We look forward to being back again in 2019 ???? We loved our stay here at Strada Marina just wanted a chilled out holiday with the family and that's exactly what we had. Would come back. Hotel provides all the services of a 4 star hotel, somehow lacks in charme. Staff, mostly at reception, very welcoming and attentive. A clean, reliable place. Have been staying 2-3 times per year on my way to the mainland. The location is very central meaning I can walk to the ferry, but also can be noisy. The front room views are nice. They improved their breakfast lately which was lovely with the exception of the disgusting sweet liquid that was dispensed as orange juice (in a country that grows oranges). We stayed in the Strada Marina for 3 nights in July and we had a room with sea view that was very nice. Unfortunately the nights were not so recreative. The doors seem to be a little to thin to keep the noises on the corridors. The noise from the street instead was less disturbing as expected. Our room was well renovated and clean and the staff was very nice and corteous. We loved the roof garden! The view is wonderful and it was nice to sit there in the evening and have a drink, watching the port and the city. If we travel to Zakynthos another time, we would definitely come back again! The view made up for dated look. I didn't think we received value for the price paid. Great location right across from port, close to all amenities, old world charm, rooms were spacious and clean, pool and bar upstairs were great to have with an amazing view.